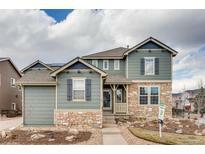 Below you can view all the homes for sale in the Southridge subdivision located in Highlands Ranch Colorado. 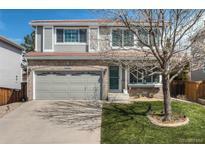 Listings in Southridge are updated daily from data we receive from the Denver multiple listing service. To learn more about any of these homes or to receive custom notifications when a new property is listed for sale in Southridge, give us a call at 720-606-6881. Check the Comparables and you will Discover what an Excellent Value this Home Is! MLS#6926957. MB HAYWOOD & ASSOCIATES. Buyer to assume the solar lease. MLS#9016570. Berkshire Hathaway HomeServices Innovative RE. Conveniently located near trails, parks, schools, rec center, shopping and more. MLS#2757033. Keller Williams DTC. Meticulously cared for by original owners, this home is sure to please. MLS#4334558. LIVE URBAN REAL ESTATE. This beautiful home is move-in ready! MLS#8502048. Asset Services Corp.